Marvel vs. Capcom: Infinite (game, 2017). A fighting video game by Capcom/株式会社 カプコン. Developed by Capcom. Official Trailer. Marvel vs. Capcom: Infinite is a fighting video game by 株式会社 カプコン and Capcom, developed by Capcom. 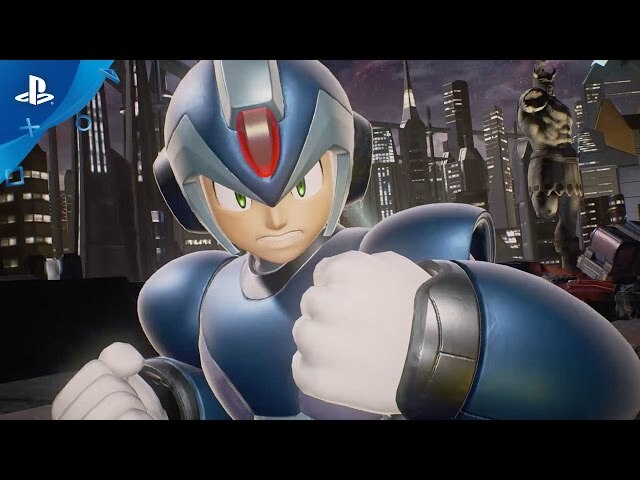 Marvel vs. Capcom: Infinite - Extended Gameplay Trailer | PS4. Death is visited by Jedah Dohma, who proposes an alliance to achieve equilibrium between life and death on both their worlds. Needing the six Infinity Stones to do so, Death deceives Thanos and Ultron into aiding her, granting Thanos the Space Stone and sending Ultron to retrieve the Reality Stone from Abel City. Sigma intercepts Ultron, and the two forge an alliance. They betray the others and use the Space and Reality Stones to merge the two dimensions and fuse themselves into a single being named "Ultron Sigma". To wipe out biological life, they begin unleashing an evolved form of the Sigma Virus that turns organic creatures into synthetic beings under their control. An alliance of heroes from both worlds is then formed. They rescue Thanos from Ultron Sigma's imprisonment and secure him in a containment field at Avengers Tower. To gain their trust, Thanos reveals the locations of the remaining four Infinity Stones, and teams of heroes are dispatched to find them. Ryu, Chun-Li, Captain America, and Hulk travel to Valkanda to obtain the Time Stone. Despite Captain America's warnings, Black Panther, the ruler of Valkanda, refuses to surrender it. Ultron Sigma's drones arrive and spread the virus, infecting a Dah'ren Mohran. After Ryu and Hulk defeat the creature, Panther agrees to give them the Stone. Next, Dante, Morrigan, Ghost Rider, Arthur, and Doctor Strange travel to the Dark Kingdom, where they encounter Jedah, who is using the Soul Stone to feed souls to a Symbiote creature, hoping to use it against Ultron Sigma. While the heroes battle Dormammu and Firebrand, Jedah escapes with the Stone. Meanwhile, Iron Man sends Spider-Man to assist Chris Redfield in infiltrating an A.I.M.brella facility. There, they find Frank West and Mike Haggar, and discover M.O.D.O.K. turning people into bio-organic weapons, infused with Symbiotes at Jedah's demand. The heroes defeat M.O.D.O.K. 's enforcer, Nemesis, and retrieve the Mind Stone. However, they are soon attacked by Jedah and his giant Symbiote. On Knowmoon, Captain Marvel, Rocket Raccoon, Gamora, Nova, Strider Hiryu, and X defeat Ultron Sigma's ally, Grandmaster Meio, and rescue Zero from his control. Upon taking the Power Stone, the station ejects its core, which falls towards New Metro City carrying a massive Sigma Virus payload. 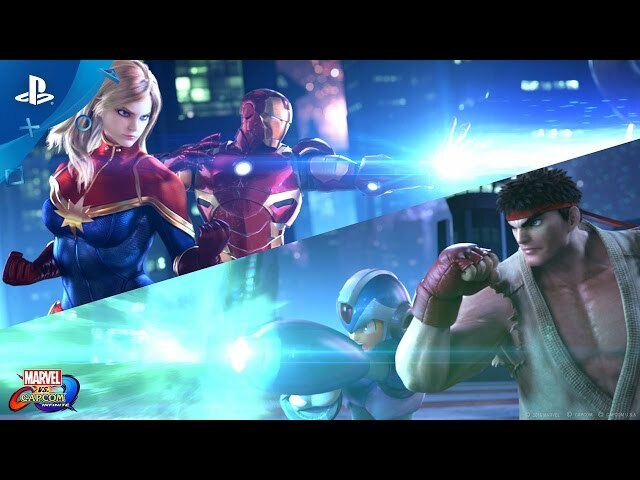 Like its predecessors, Marvel vs. Capcom: Infinite is a 2D fighting game in which players compete against each other in tag team combat using characters from both the Marvel Comics and Capcom universes. Players must knock out the opposing team by repeatedly attacking the opponent and draining their health bar. Infinite features two-on-two partner battles, similar to Marvel vs. Capcom: Clash of Super Heroes and earlier installments in the franchise. Unlike past entries, the game does not allow players to use traditional call-in assist attacks from off-screen characters; instead, Infinite utilizes a "free-form" tag system, known as "Active Switch", which shares similarities with Marvel vs. Capcom 3 "Team Aerial Combo" system and Street Fighter X Tekken "Switch Cancel" system. Players can immediately switch between their team members at any point, even while mid-air or during attack animations. This provides players with the abilities to create their own offensive or defensive assists through the tag system and form continuous combos between their two characters. 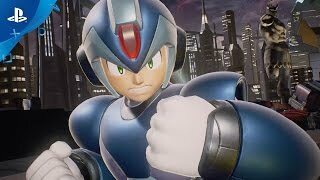 Marvel vs. Capcom: Infinite was scheduled to be released by Capcom and 株式会社 カプコン on September 19, 2017 and on September 21, 2017.